You will get your dollars' worth with this purchase. It is written by a man but prompted by God. 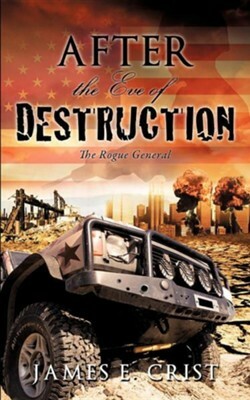 This is a great sequel to, "On the Eve of Destruction," another of the authors highly rated books. Even though it's a novel, it can lead someone to paradise. It has a love story and an exciting drama for the whole family to enjoy. A teenager falls in love with a rogue general that is desperately trying to keep himself and a lovely saint alive during a national crisis. His daring dexterity is exciting, and his subtlety will keep your eyes fastened to the pages. Finally, he realizes that it was her prayers that were protecting them. You will have a feeling of contentment after enjoying this innovative special. I'm the author/artist and I want to review After the Eve of Destruction.